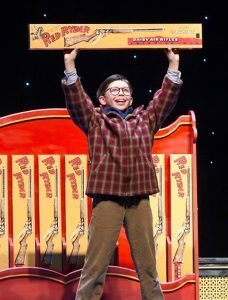 Myles Moore knew exactly what he needed to do two years ago after accepting the role to play Ralphie Parker in “A Christmas Story:” watch the film. Moore returns as the iconic 9-year-old who covets a Red Ryder BB gun for Christmas in the tale that has become a staple of the holiday season. 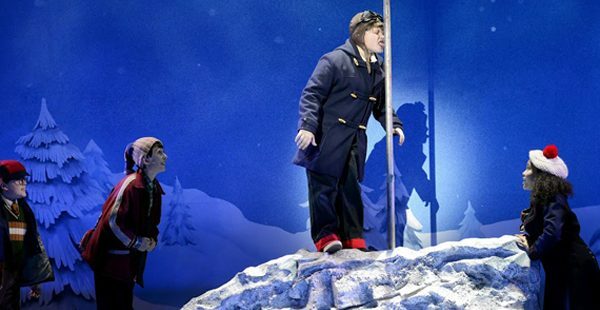 But this time, the story that’s known for its use of a leg lamp, pink bunny pajamas, a crazy department store Santa and of course, a triple-dog-dare of licking a frozen flagpole, is a musical at the Hippodrome from Dec. 6-11. Tickets start at $42. Set in the 1940s, “A Christmas Story” became a holiday staple shortly after it hit the silver screen in 1983 and it has become as synonymous with the holiday season as Rudolph the Red-Nosed Reindeer and Santa Claus. In 2012, the movie was transformed into a Broadway musical and was nominated for three Tony Awards, including Best New Musical, Best Original Score, and Best Book of a Musical. “The movie was tailor-made to be a musical,” said Christopher Swan, who returns as the Old Man for the second straight season. “The movie has moments that are made for music and dancing. It’s filled with humor, and family and friends that all come across on stage. The two-hour, two-act show is filled with music from start to finish, including songs such as “Ralphie to the Rescue,” “Up on Santa’s Lap” and “Just Like That,” which makes it enjoyable for all ages. 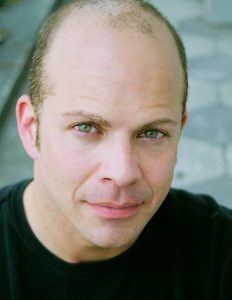 Susannah Jones plays Ralphie’s mom, while Chris Carsten returns to play radio personality and narrator Jean Shepherd. 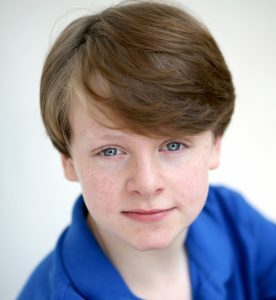 Arick Brooks plays Ralphie’s little brother, Randy, while Angelica Richie is Miss Shields. Andrew Berlin is Santa, Sydney Chan is the waitress, Jessica Crilley is an elf, Josh Davis is Schwartz, K’Lynn Jackman is Nancy, Allie Kiesel is Mary Beth, Joey Little is Grover Dill and Wyatt Oswald is Flick. The show also uses real-life dogs in the scene in which the hounds ruin the Parker’s dinner. Times: Dec. 9-9: 8 p.m.; Dec. 10: 2:30 p.m., 8 p.m.; Dec. 11: 1 p.m., 6:30 p.m.